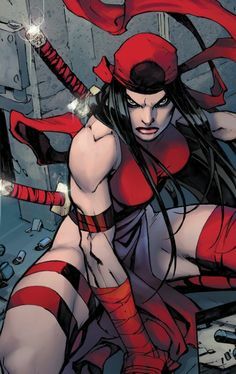 Is a famed Ninja of the Hand that faces off against Black Widow, Daredevil and Elektra. There are two Ninjas of the Hand named Enteki after one dies his son takes his place. Both Ninjas are Archers. Enteki is a character in the Daredevil story known as Fall from Grace. In this story he battles Daredevil with the Hand searching for a special telepathic virus known as About Face. He follows the orders from Lord Daito. In doing so he faces off various heroes that includes Daredevil, Elektra, Shang Chi. The first Enteki is on a mission to kidnap the telepath Eddie Passim. The Hand is opposed by Daredevil, Seige and the Chaste. Enteki attempts to kills Daredevil by strangling the hero with his bowstring. Stone sneaks up behind Enteki and kills him with a sai. The distraction is a enough for Tekagi and Budo to make away with Passim. The 2nd Enteki had impressed the Hand at a young age. He like his father was a gifted Archer. He first battles a group of heroes who are helping protect the living vampire Morbius. He managed to bounce arrows off Daredevil's new armored suit. When the first Enteki is killed, Tekagi promotes the 2nd into his position. He gives him his father's mask. Enteki is part of an assault on the Chaste that includes Feruze and Doka. The 2nd Enteki dies much the same as the first at the other end of a Sai of Elektra.